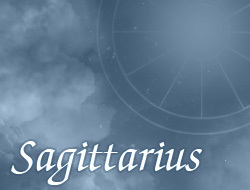 Sagittariuses usually belong to persons exceptionally ambitious and creative. Many times they are able to work on a few positions simultaneously and it doesn't cause considerable problem for them. Very often choose to work in free, independent profession that gives them a free hand in making their choices. They don’t like when somebody is in charge of them, therefore alone are the bosses in company, where supervise own undertakings. Most often they have defined objective in their professional career, by which seek to achieve their plans. Good ideas come to their mind while are alone, because presence of many persons can wipe them out from thinking. They aren't afraid of responsible and risky undertakings. Sagittariuses belong to persons, who have an analytical and strategic mind. They also have a good eye to details, which often leads to better solutions in their work. Profession of artist gives them a great freedom of action, and most often the painter or graphic designer. PROFESSION: journalist, analyst, economist, doctor, computer specialist, copywriter, translator, adviser, lawyer, artist.